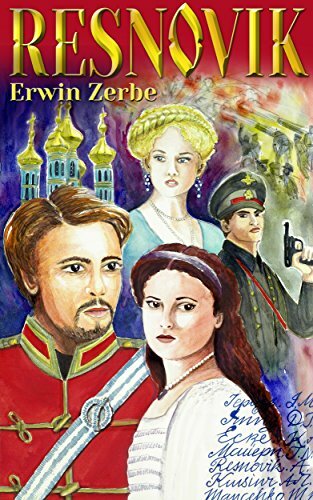 Set in turbulent, early twentieth century Imperial Russia; Alexander (Alex) Resnovik, an officer in His Majesty's Imperial Army, is thrown into Russia's bitter war with Japan, on the eve of his engagement to Mathilde Gendelevich. Having met Mathilde at an officers ball, a bitter rivalry develops between Alex and officer Boris Kreshenkov, after Kreshenkov's grotesque advances were rejected by Mathilde, in favour of the more refined and handsome Alex. Kreshenkov's jealousy towards Alex, sets him on a path of deceit, deception and revenge, aimed at both Alex and Mathilde. Following the heavy defeat of Russia in 1905 at Port Arthur on the Korean Peninsular by the Japanese, in which both Alex and Kreshenkov were wounded; Kreshenkov out of spite, deceitfully and skillfully falsifies the casualty lists to show that Alex was killed in action. Emotionally broken when Mathilde sees the listings posted in Moscow's town centre; she disappears. Upon his return from Port Arthur and with the help of his family who also thought he was dead because of Kreshenkov's despicable actions, Alex tries to find Mathilde but to no avail. The years pass and Alex eventually moves on with his life; is promoted up through the ranks and resumes his military duties at a camp in St. Petersburg. There at an official function attended by the Tsar, he meets and falls in love with Grand Duchess Irina; a cousin of the Imperial Romanov family. Following a brief courtship, they are married in St. Petersburg. Their marriage however, is interrupted by the outbreak of war in 1914, which sees Alex transferred to the front, against the might of the Kaisers German Army. At the front, the war goes disastrously for Russia; discipline and morale collapses, sparking a revolution throughout Russia and pressure on the government to resign and the Tsar to abdicate. Boris Kreshenkov commits himself to the Bolshevik revolutionary cause, with a continual personal vendetta against Alex, who remains loyal to the Imperial way and still unforgiving towards Kreshenkov for deceiving Mathilde and his family. 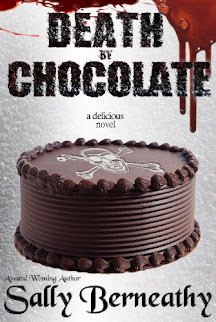 Unawares to Alex, Mathilde who had been working as a nurse at a military hospital in St. Petersburg, discovers that Alex is alive when she by chance, meets Irina there. The two become close friends and Mathilde helps Irina to hide from the Bolsheviks, who are intent on arresting and persecuting all those loyal to the Tsar. Kreshenkov however, now being a senior Bolshevik party leader, has had Mathilde and Irina under surveillance for some time and orders their arrest, in the hope of luring and trapping Alex, whom he knows will come looking for Irina. Outraged that Irina is in Kreshenkov's hands, Alex, with the help of a colleague, implements a skilful plan to rescue Irina; and it is here that Alex is stunned when he and Mathilde re-unite after so many years apart. With the revolution taking hold, the hopes of survival and freedom for Alex, Irina and Mathilde, lie in their attempts to escape across the border into Finland. Kreshenkov's blatant determination to pursue and detain Alex before he can reach freedom, culminates in an explosive confrontation at a fishing village just short of the border. It is here that both tragedy and freedom eventuate.